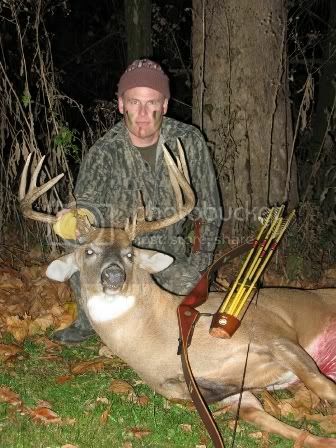 Deer taken with Bear recurves? Curious if anyone has taken some deer with their Bear recurve bow(s) and if so - can they share pics of them and their successes? Be nice to a nurse - you never know if or when your life or those you love life/lives may depend on us! 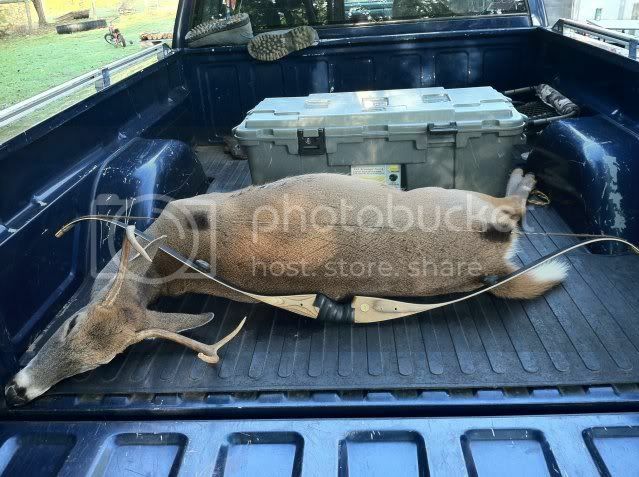 Re: Deer taken with Bear recurves? Just about everything Sam shoot these days is with a Bear bow. Start on page 3 and go through looking at all kinds of critters with Bear recurves. Took this one in 2007 with a 1969 Bear Grizzly. 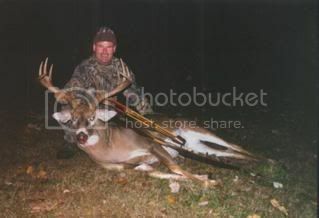 This one in 2002 with a 1957 Bear Kodiak. Fred filled a his museum (located in Gainesville Fl) with animals from all aroung the world with his bear bows. 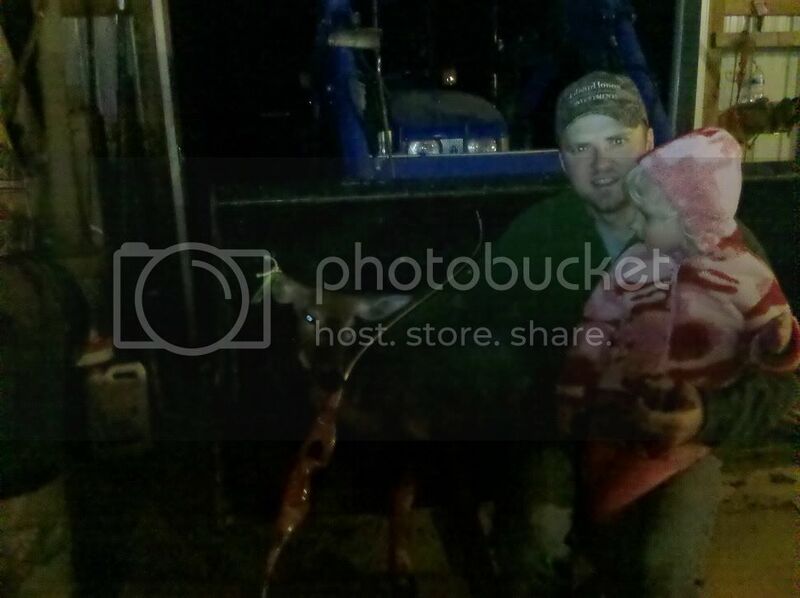 Nice deer, guys! Bowhawk, that Grizzly looks just like my '67; great bows. Unfortunatley, the folks who run Bear archery sold off the vast majority of the Fred Bear Museum. I used to love to visit that place. 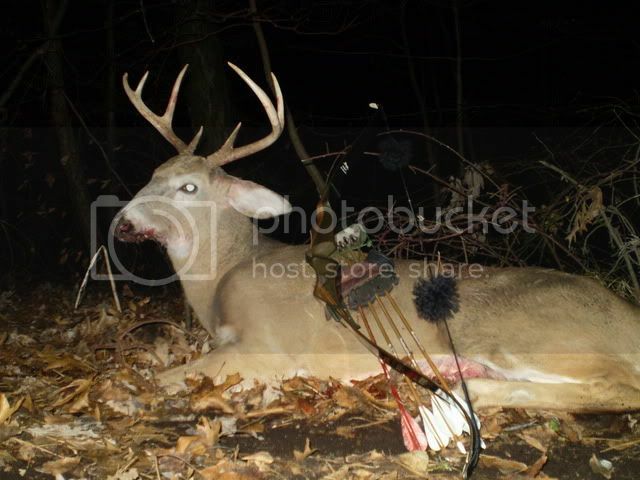 I shot this buck this November with a 1966 Bear Kodiak! Here's my first taken with traditional equipment - Bear Stag Hunter given to me from my grandfather. 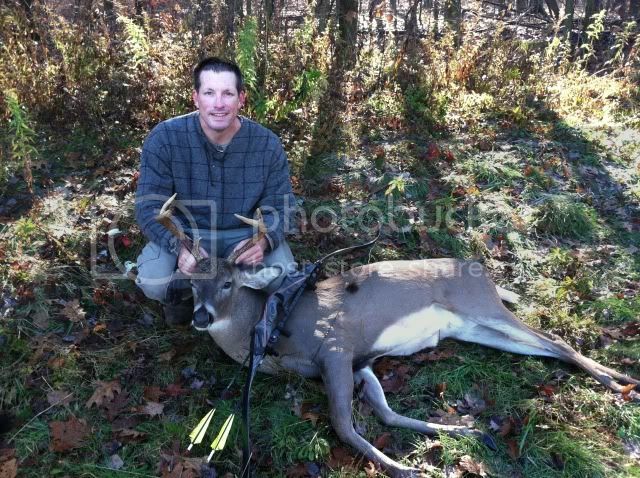 Rut very nice deer there !! Here's my only two from this year one with and old bear one with a new one. 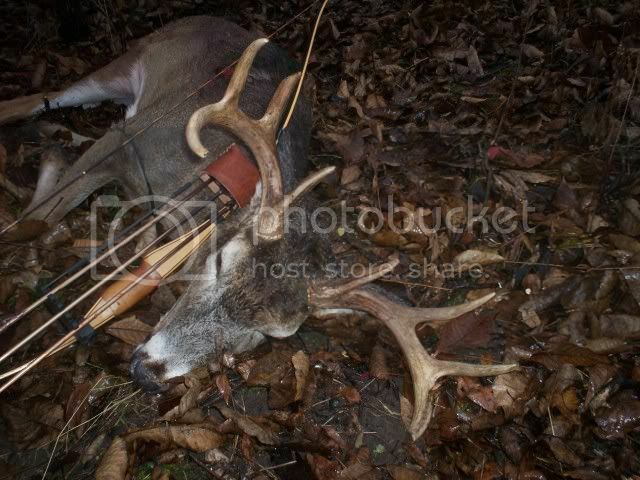 Here's my september bow kill. Only one this year and my first trad kill. Bear Grizzly 50lbs.